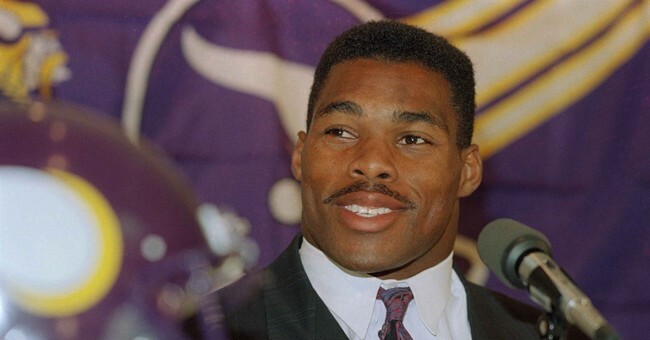 According to a report by Fox News, football legend Herschel Walker is calling for CNN to fire Don Lemon over his laughing on-air at derogatory remarks made about rapper Kanye West on Tuesday night. Bakari Sellers, a CNN political commentator, replied by further insulting West. There were also jabs made about mental health during the segment. Herschel Walker, both an outspoken Trump supporter and advocate for mental health issues, was not amused. He voiced his disapproval on Twitter. “Went to bed appalled over Don Lemon's despicable behavior laughing at Tara Setmayer and Bakari Sellers' awful remarks about Kanye West’s visit with [Trump]! Woke up wondering why CNN doesn’t take all three off the air?” tweeted Walker, before adding the hashtag "#Shameful." But Walker didn’t back down. “No...Tara Setmayer, anyone that is African American with an opinion different than yours, you want to call them out by using the N-word and Don Lemon is laughing? To me that’s bullying and shameful," he replied. Herschel Walker is not the only person voicing concern over the CNN segment. Fox News contributor Deroy Murdock also denounced the remarks. “These reprehensible, racist comments on CNN are typical of the Trump-hating left” represented by the mainstream media, Murdock said. “I cannot believe it would be allowed on any network, least of all having a host that’s laughing as if it’s funny,” said Owens.